Once an essential approach to providing for industrial, recreational and agricultural demands, dams across the country are now being removed in a push to restore waterways to their original configurations. The removal of large dams—ones higher than 25 feet—is often accompanied by a plan to monitor the affected eco- systems. But the same level of attention hasn’t been given to understanding the ecological impacts of disassembling low- head structures, which account for approximately 48 percent of dams nationwide. That is until researchers at Eastern Illinois University (EIU) used Illinois Water Resources Center funding to assess the impact of two low-head dams on the genetic diversity and differentiation of fish communities in the Vermilion River. The Ellsworth Park and the Danville structures were slated for removal as early as 2014 but still stand due to budget constraints. The investigation focused on two fish species with important behavioral differences: longear sunfish, an animal known to live its life within a small area, and the bluntnose minnow, which traverse the river basin in big schools. The researchers isolated specific fragments of the fish’s DNA where mutations tend to occur and compared the genetic pairs from samples taken above and below the dams. Despite the small range of longear sunfish, Colombo and Smith found no differences in the number of genetic characteristics or the frequency with which those characteristics appear in fish above and below the dams, meaning divided populations are still interbreeding. 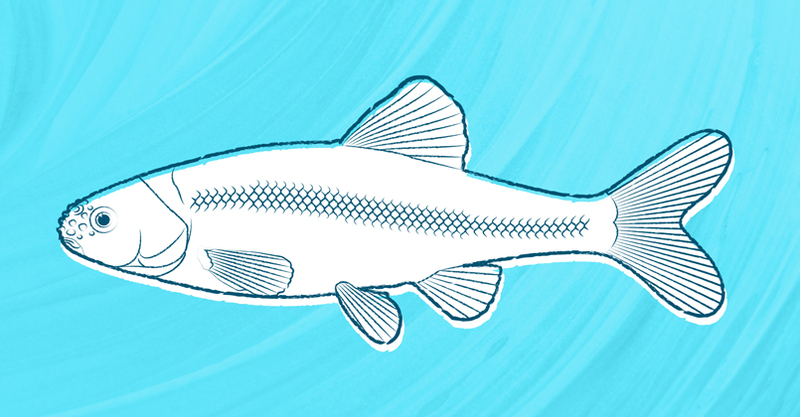 The bluntnose minnow was a slightly different story. This research took place over three years and involved support from the Illinois Department of Natural Resources and U.S. Geological Survey. Colombo and Smith hope to continue and expand the project if the dams are in fact removed.